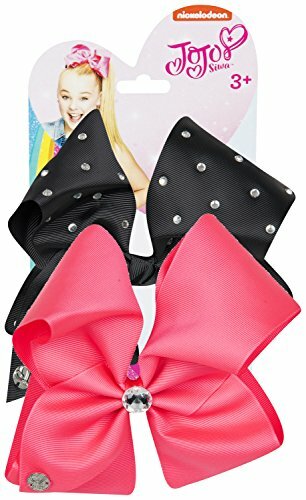 AUTHENTIC 2 PACK JOJO SIWA BOW DESIGN: Inspired by the Dancing Star JoJo Siwa\'s iconic Big Bow style. AN INSPIRED, ELEGANT AND TRENDY HAIR LOOK: Let your little girl express her bold, carefree style with the Signature Collection Hair Bows from JoJo Bows. METAL SALON CLIP: The salon metal clip make these bows easy to clip into any hair style. SIGNATURE COLLECTION VARIETY: Our wide variety of colours and patterns will help you find the perfect bow for your look.